You can’t escape sponsorships. Brand logos, endorsed celebrities and promotional products are all over our screens and their influence appears to be growing. By the end of 2018, it’s expected that global sponsorship spend will hit $65.8 billion USD — that’s a lot of money to be made for brands that know how to capitalise on sponsorship deals. But how much money is in sponsorships today and which sector excels at endorsement campaigns? Essentially, a sponsorship is the support of an activity, product or event by an unconnected person, company or organisation. Businesses sponsor influential and famous people to promote their products or services, as they can raise brand awareness, deliver positive PR and help the public create a greater bond with a brand to boost sales and customer loyalty. Thanks to social media and the power of influencer marketing, having a famous face pushing your brand is a highly effective way to drive revenue and introduce a brand to an entirely new demographic. Today, businesses and consumers don’t view sponsorships as cold, money-making schemes. A report into sponsorships carried out by Consumer Insights found that sponsorship deals are attractive to younger demographics, with 79% of the entire UK audience believing them to be a part of the TV experience. Positively from a business viewpoint, almost 70% of viewers want to see more sponsorships used for promotional purposes and 91% think that this type of advertising makes the brand seem ‘more premium’. So, how lucrative are endorsement deals and how can they benefit a brand? Sponsoring a famous face is a popular and typically rewarding way to promote a product and increase sales in the food and drink sector. Take a recent Domino’s sponsorship deal with soap, Hollyoaks, which achieved a 35% ROI boost for the pizza company, while Red Bull got 40 million views on just one video of skydiver, Felix Baumgartner’s 128km freefall from the edge of space. Due to the popularity of baking shows, the food industry and even brands from other sectors are cashing in on valuable endorsement deals. Amazon made headlines in March this year when it agreed to be the headline sponsor of The Great British Bake Off with a £5 million arrangement — its biggest TV deal in the UK so far. However, the unison of food and drink companies with sports teams and individual athletes can cause tension when it comes to sponsorships. Due to the severity of nutrition-related medical issues — like obesity, diabetes and heart disease — any sporting body or personality that accepts a sponsorship deal with a food or drink brand may face criticism if the product is deemed unhealthy. Despite the disapproval from parents and health professionals, more than three-quarters of sports endorsements promote junk food, with McDonald’s and Pepsi just two examples of fatty, sugary products that have sponsored the sporting industry. Considering that McDonald’s paid around £75 million to extend its Olympic sponsorship until 2020 and Coca-Cola’s arrangement with the event is valued at about £33.7 million for each four-year cycle, it appears that the joining of forces between food and drink brands and the sporting industry is an antagonistic but lucrative area. Considering the desire for car ownership — there are currently 31.3 million registered cars in Great Britain — and that the motoring sector is one of the truly traditional industries for sponsorships, it may explain why car sponsor deals are successful across a broad range of commercial sectors. In clothing, Mercedes-Benz was the official car sponsor of the latest London Fashion Week, while in sport, Toyota became the world’s first ‘mobility partner’ of the Olympic and Paralympic Games this summer. In entertainment, Citroën just signed a two-year deal with Channel 4 to endorse the TV show, First Dates, and in the non-profit sector, Renault sponsors a range of charities — including Barnardo’s, Young Enterprise, and most recently, The Felix Project. Car brands also appear inherently innovative when it comes to using sponsorships to change consumer perception. Previously, South Korean car brand, Hyundai, wanted to change its image to better compete with brands like Toyota. To achieve this, the brand opted to sponsor more prestigious and worthy products and events — like art venue, Tate Modern, and this year’s Outfest Los Angeles LGBTQ Film Festival. The results? US sales in May 2018 of Hyundai SUVs rose 41% (YoY), while combined Kia and Hyundai sales rose 3.5% in August. Similarly, Czech motoring company, Škoda, had a pretty dismal reputation at the turn of the Millennium, with the brand being associated with poor quality and an overall bad image. However, a drive towards sponsoring popular and audience-focused markets — including The National Theatre, UCI Road World Championships (watched by 200 million people), and Tour de France (viewed in 190 countries) — have helped the brand transform its persona and achieve the best year in its 122-year history in 2017. Versatile and inventive, sponsorships are an integral part of success for car companies. Reality TV has exploded in popularity recently, which has had a significant effect on the number of sponsored posts we see on our social media platforms. From the reality TV star’s perspective, sponsorships are excellent for prolonging exposure, getting their foot in the door of other media opportunities — and, of course, making a lot of money. It’s reported that many well-known contestants earn over £1 million, thanks to money pouring in from nightclub appearances (between £3,000 and £10,000 a booking), magazine/newspaper deals (up to around £40,000 a time) and book or fitness DVDs (generally at least £50,000). However, the most lucrative part of being a reality TV star is to get a brand sponsorship — which can be worth around £150,000 for a single deal! A peak of 3.37 million people in the UK watched the launch of Love Island 2018, with 3.6 million people viewing the final of the show on 30th July. Since claiming the crown, winning couple, Dani Dyer and Jack Fincham, have achieved three million and 2.5 million followers on Instagram, respectively, with Dani expected to make around £7,000 per sponsored post in the months following her victory. This is no surprise considering the success of past Love Island contestants. For example, popular couple, Olivia Buckland and Alex Bowen from 2016’s Love Island, have maintained a positive public profile since the show and are currently sponsored by QUIZ, UK retailer of clothing including men’s shirts, to promote its Honeymoon Edit. Ex The Only Way Is Essex member, Mark Wright, is currently enjoying a successful sponsorship deal with Umbro to promote the sports brand’s gym gear — a report from Google Trends into the online popularity of the term ‘Umbro’ hit its highest point in the past 12 months in April. Some may attribute this to Wright’s highly-publicised Umbro photoshoot that launched around this time. Similarly, former Geordie Shore star, Charlotte Crosby, is also playing the sponsorship game with great success for all involved. According to Social Blade, she has 6.4 million and has created 36 media uploads in the past 30 days alone. The Insta Index, put together by Dr Mariann Hardey for social media expert company, Takumi; calculates how much an influencer can make per sponsored post depending on the number of followers they have. If we use the calculation method of the Insta Index, Crosby is probably making around £75,000 per sponsored Instagram post as a ‘major’ influencer! And if she’s racking up these figures, the return-on-investment for the brands must be equally lucrative. When you think of sponsorship deals, your mind typically jumps straight to sport. 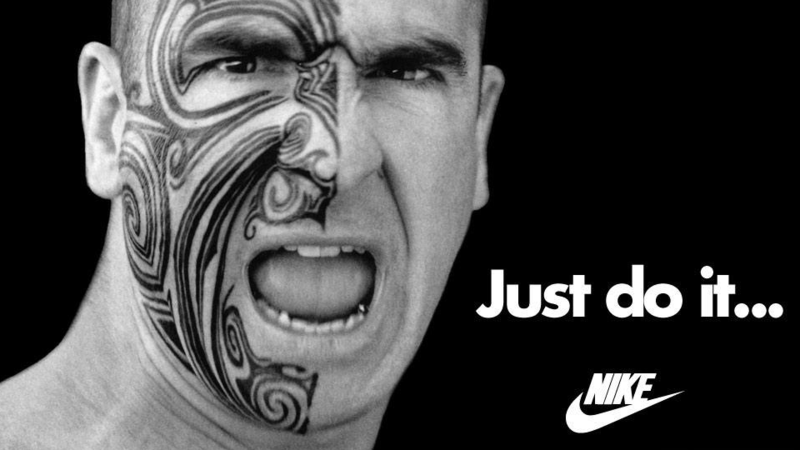 From football in the UK and basketball in the US, to the AFL in Australia and golf across the globe, sport sponsorships are hugely lucrative for brands that choose the right personality. In fact, some athletes earn more from sponsorship deals than they do from the sport they play. Roger Federer — currently ranked world number two in men’s singles tennis by the ATP (Association of Tennis Professionals) — has the highest sportsperson sponsorship deal in the industry with around $65 million USD. An incredible figure considering his salary is a much smaller $12.2 million. From Mercedes to Lindt, Federer has had sponsor deals with a range of industries and products. In summer this year, he even signed the globe’s most valuable endorsement deal with Nike, worth £230 million! There’s a lot to be earned from sponsorships in football, too. Every season, fans keep an eye out for their team’s latest strip — and these always feature the club’s latest sponsor. In the Barclay’s Premier League this 2018-19 season, Manchester United’s Chevrolet-sponsored shirt is the most expensive, with the brand paying the team £47 million for the deal. A close second is rival, Manchester City, with its Etihad sponsorship worth £45 million, followed by Chelsea and its £40 million agreement with Yokohama. In fact, the sum of all jersey kit sponsorships in the League makes up a huge £315.6 million, with the top six most expensive deals constituting £247 million of the total. When it comes to sponsorships, athleticism and endorsements appear to work in sync. Corporate sponsorships play a dominant role in the success or failure of a business, with the ability to transform an image, accelerate awareness and boost conversions to enhance a brand’s performance. Of course, this depends on the ability of the sponsor in question to get the tone, product, industry, personality, and campaign correct.